This looks like a book I would mind sharing with my daughter. Thanks for the review! I checked out the publisher's site and Where to Sleep looks adorable. This is the first time I've heard that, about the kids listening. I would love to read more! I also like "V is for Venus Flytrap: A Plant Alphabet"
I'd love to read Cosmo's Moon to my daughter. Thanks for the great book review! Sounds like a wonderful book! I would love to read it and share with the family. V is for Venus sounds like a great read. This sounds like an interesting book and one that my niece and I will enjoy. This book looks wonderful; I'm really enjoying the reviews I've read of it and would love a copy. Love the looks of Where to Sleep. I would love to share this with my 2 small children. Thanks! Looks like a great book. I would love to read it and then pass it to my daughter and my sister. I like to read about this period in history and this looks like a very good book. I would also like to get the book Where to Sleep. I would so love to talk to my boys about this in a way that didn't seem like a history lesson. This book looks great! I'd like to read "B is for Buckaroo. A Cowboy's Alphabet." Sounds super cute. This looks like a great teaching tool. I've found with most tough topics, it's best to find a good book to explain things. It definitely seems like it would be a perfect book to start a discussion. My son would love Itsy Bitsy & Teeny Weeny! He loves anything about animals. Wow! I'd love to share this book with my niece and nephew. I'm really working on helping them understand what slavery was all about. Thanks for the chance to win a copy. I'd like to read P is for Passport. The kids at my house are very interested in other cultures. I would love to win this book. It sounds like a fabulous read for my children. I think Cosmo's Moon looks like a fantastic read that my little guy would love. Post a link on my blog's sidebar about this giveaway. This seems like a great book to share with my daughter. Thanks for the chance to win! I'm a follower of your blog! Keep up the great reviews! This looks like a wonderful book. Thanks for the giveaway. I would love to be entered in the contest. Thanks for offering! *I follow you on Google Reader. I'd love to share this with an elementary school class. If I were to win this, I'd have to read it for myself before passing it along to my God-daughter. It looks like an interesting read for a younger audience. I'd love to check out P is for Passport: A World Alphabet. I would love to read this with my daughter so she can learn about some American history. 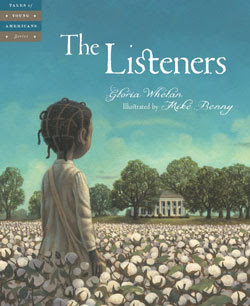 This looks like a book that would be helpful in teaching my kids about slavery. I like the book "Moose on The Loose"
This sounds like a thoughtful book on a sensitive subject. In our home, we love books. In my opinion, my daughters can never have enough books, and this books sounds wonderful. Please enter us. We would also like to read the book S is for Sooner: An Oklahoma Alphabet. I have been wanting to buy this book for ages. I would love to read this. I grew up in the south and we studied state history every year. Slavery, the civil war, and the civil rights movement were a big theme of study each year, even starting in elementary school. I would like for my boys to know about that history as well. PS, I'm reading Uncle Tom's Cabin right now. this would be a bitter sweet and educational novel to read to my little one when he's a bit older and my nieces - now. We would love to read this. Thans! I would love to win this book. I think my daughter would like it. Thanks for the chance to win! What a beautiful cover as well! Thanks for the review. I'd love to win this...I just found out I will be a first time grandmother in 6 months so never to early to start reading collection! This book sounds wonderful! I was moved by the review and the description, so I know I would love the story, and love sharing it with my goddaughter. Neat book and yes Plantations are amazing, they've always fascinated me. I would love this book for the hospital I volunteer at. This looks like something my daughter would like! Thanks for the chance! This was a time in our history that I would like my children to be more aware of. Please enter me. Sounds like an awesome book! I'd love the chance to win!! thanks for the chance! I follow and heres a tweet!! this would be great for my little girl! Where to Sleep by Kandy Radzinski sounds great! I would like to read J is for Jack-O'-Lantern. Moose on the Loose sounds very interesting!